Every artist needs a place to showcase their work. In the past, photographers had to rely on binders, folders, and leather-bound books to house their finest images. In contrast, the image makers of today often opt for the portability and convenience that comes with hosting a portfolio online. Within seconds, it’s now possible to bring up an artist’s entire photographic archive in just about any situation. The pressure is greater than ever for artists of all disciplines to cultivate some sort of online presence. But, for those trying to figure out the most effective way to display their work to the world, the task is often easier said than done. A number of portfolio hosting platforms exist in cyberspace, and from a passing glance, it can be incredibly difficult to decipher the differences between them. Luckily, PhotoWorkout has gone through the trouble of digging up the best (and worst) each service has to offer. Below, we’ve compiled everything you need to know about some of the best photography portfolio websites. THE BOTTOM LINE: With SmugMug, a little can take you a long way – even the most limited plans boast unlimited bandwidth and cloud storage space. A popular choice among professionals, there are very few “catches” for potential users to worry about. Hands-on Support. One of SmugMug’s points of pride is that the folks running the site only take one day off per year. Support from live representatives is available to users 24 hours a day, 7 days a week. Ad-Free Experience. 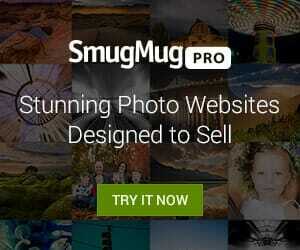 SmugMug users won’t have to deal with site advertisements, regardless of how much they opt to pay. Statistics and Analytics. Websites are SEO optimized, and the site itself has built-in stat tools to help photographers understand just how users are interacting with their images. Those who opt into SmugMug’s Business package will also have e-commerce tools at their disposal. * Not available with every pricing plan. Refer to the site for additional details and information. SmugMug’s Basic package is one of the least expensive portfolio options out there, and it comes with more than the average base plan has to offer. Even those paying the absolute minimum amount can enjoy unlimited bandwidth and cloud storage space as well as attentive customer support available 24/7. For those with a bit more of a budget to invest in a online photo portfolio, there are some definite perks to upgrading your SmugMug account. Namely, those willing to pay into the Portfolio and Business plans may sell images and videos through an integrated Turnkey storefront. All in all, SmugMug manages to cover all of its bases at a pretty reasonable price. However, the site isn’t without its flaws. For instance, the site’s UI is far less friendly to navigate than that of some of its competitors, according to former users. Photographers aiming to make a sale from the work displayed on their website are at a significant disadvantage. 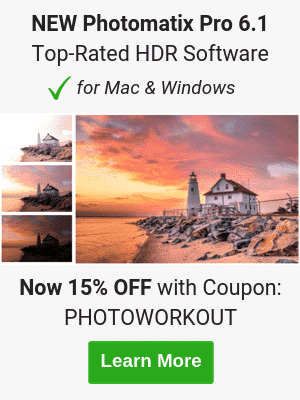 SmugMug users do not have access to an integrated storefront unless they’re willing to pay the highest premium prices. On top of that SmugMug takes 15% of all profits made on the platform – a serious chunk for those making a living as a professional wedding and portrait photographers. THE BOTTOM LINE: For those looking to market their work online, few options beat out Zenfolio. Aside from showcasing portfolios, the site also allows users to set up an online marketplace with little to no hassle. Unrestricted Profits. Zenfolio takes a minimal cut of the profits made through the sales of work. Customers can have funds sent directly to Paypal or Direct Deposit. Unlimited storage space. Zenfolio offers users unrestricted access to cloud storage. The site supports image files as large as 64MB and videos as long as 20 minutes. Market yourself. Zenfolio portfolios come equipped with marketing and SEO tools and integrate seamlessly with social media profiles. Customers may track digital downloads and other helpful statistics with ease. Teach yourself. All users have access to a variety of video tutorials designed to help with the nuances that come with building a portfolio. Zenfolio also offers live webinars at no cost. For those just building a web presence, the Starter pack is particularly alluring. This is especially so when one takes into consideration that the base price offers a connection to a personal domain name and unlimited bandwidth and storage space. Though other companies do offer these services, they often cost premium fees to access. Unfortunately, Zenfolio’s more advanced packages come at a steeper price. By opting into them, it’s possible to make the most of Zenfolio’s powerful marketplace. However, if you’re primarily looking for a portfolio showcase, you may want to consider foregoing pricier options. Zenfolio has some cool features that can potentially bring out the best in a portfolio. Unfortunately, one of the site’s glaring flaws lies in its customer service (or lack thereof). For those not subscribed to Zenfolio Advanced, it is virtually impossible to get in touch with a live person for help. If you can’t find the answer to your issue within the site’s FAQ archive, you may find yourself in hot water. Furthermore, the site’s starter bundle does NOT include the removal of abrasive Zenfolio site branding. If a person isn’t willing to pay the $20/month Pro fee, their portfolio will be marked with the Zenfolio logo, bringing down the overall professionalism of their online presence. THE BOTTOM LINE: You don’t need to be especially tech-savvy to have a beautiful portfolio thanks SquareSpace. Templates with award-winning design are available to customers, and adding content is as easy as dragging and dropping. State of the art design. One of SquareSpace’s most alluring features are the clean, beautifully designed templates, that it provides its customers. Templates are built with customizable content areas to make personalization easy. Make adjustments easily. For those not technically inclined, building an online portfolio can be an intimidating feat. Luckily, SquareSpace makes the building process easy with drag and drop content management paired with an intuitive UI experience. Commerce options. Backend tools include customer purchase data, real-time carrier tracking, and customizable checkout experience. Statistics and Analytics. Users can look into visitor activity logs and traffic overviews to get a more complete sense of who exactly is interacting with a portfolio. Ad-Free Experience. SquareSpace users won’t have to deal with site advertisements, regardless of how much they opt to pay. SquareSpace offers customers four different services. All in all, SquareSpace’s prices run a bit high compared to the competition. Nevertheless, fees still remain low enough to be manageable for the average run-of-the-mill photographer. Squarespace’s e-commerce options are a bit difficult to get on board with, and the platform may not be the most prudent choice for those looking to sell a few prints online. That being said, the price of SquareSpace charges is worthwhile on many levels. Though the entrance fees are higher than most, the users that do opt-in bypass many of the annoying caveats that come with other base portfolio plans. For instance, all subscribers have access to unlimited cloud hosting and won’t be expected to pay additional fees to remove SquareSpace branding. On the surface, SquareSpace is a clean and intuitive portfolio hosting option that provides all of the tools one might need to get ahead. Indeed, for many photographers, the service has more than enough to work with. For image makers with extensive collections, however, SquareSpace may fall short. The site lacks the depth of navigation, and those who choose to opt into one of the more affordable subscriptions will only have a limited number of pages to work with. If a surface level portfolio won’t meet your online needs, think twice before signing on. THE BOTTOM LINE: One of PhotoShelter‘s most alluring attractions is comprehensive customer service. Although other providers offer similar email and phone support options, all PhotoShelter users have access to the same level of help and guidance from trained professionals. Hands-on Support. Photo Shelter offers all clients the same level of care and support. Help is easy to access via phone or email. Present what you want. Photo Shelter doesn’t limit the file size or format users choose for their image and video files. There are also no restrictions regarding the amount of traffic a site garners. Market-friendly. The site allows users to sell their photographs to customers for a low transaction fee. Twenty-three major currencies are accepted, enabling sales across the globe. Theft Protection. Photo Shelter plays an active role in deterring potential theft. Viewer display sizes are limited, and right-click save as abilities are disabled. Photo Shelter also prevents viewers from dragging and dropping images directly onto their desktop. There’s no way around it. PhotoShelter’s Pro package is the priciest of its sort, making it a poor choice for photographers on a budget. Standard and Basic packages are, of course, a bit more manageable from a financial standpoint. However, even the site’s Basic package is significantly more costly than the base-line packages offered by other similar hosting sites. PhotoShelter is a well-rounded service and has a lot to offer those who’d like to be a part of the community. But, before signing on to the service long-term, bear in mind that upkeep can easily cost hundreds of dollars annually. Fortunately, PhotoShelter doesn’t have hidden fees or backend woes that customers will only discover after committing to a subscription. Rather, the site’s drawback lies in the subscription fee itself. The price alone is enough to turn off a good portion of potential customers. However, what makes the PhotoShelter offer truly hard to swallow is the fact that despite the price paid, there are still limitations users will have to work around. If users want to utilize more than 100 GB of storage space, they’ll have no choice but to sign onto Pro for a whopping $45/month. The fact of the matter is simple: competitors offer the same privilege at a much lower cost, making it hard to justify the purchase of the platform long-term. THE BOTTOM LINE: For those trying to streamline their workflow, Format may be a great fit. Perfectly synced with Adobe Lightroom, users can update and publish their portfolios online straight from the editing software. Make adjustments easily. Format’s themes are very easy to apply and edit. Content can be edited at the click of a button, and images can be dragged and dropped into place. Superior client access. Format allows its users to share portfolios with a client without any hassle. Customers may provide their clients with a custom URL leading to a private proofing gallery, where it’s possible to review and mark favorites within a series of images. Lightroom support. 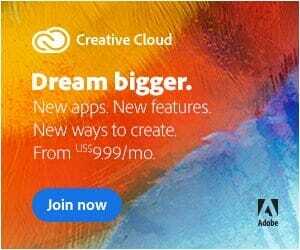 An appealing choice for any and all Adobe Lightroom users, Format offers a plugin that connects with the cataloging software. Once installed, it allows users to publish and update online galleries directly through Lightroom. Format users should keep in mind that there are limits enforced concerning the number of pages within a single website. Furthermore, the number of images allowed per site is limited depending on which price bracket you happen to be subscribed to. While there are a number of advantages that come with upgrading – including customizable CSS/HTML and access to premium themed templates – most customers are ultimately drawn to Format’s pricier options because of their lack of restrictions. Format is a popular choice among the photographic community and boasts high user satisfaction ratings. Nevertheless, it doesn’t suit the needs of everyone out there. More so than anything, the platform is simplistic and clean – which may or may not be advantageous for all. More specifically, Format does not offer all of the SEO tools, statistics, and analytics that come with many competing packages. Nor does the service have the large library of layouts offered by more design-centric platforms like Fabrik or SquareSpace. For those pining for extra goodies with their site subscription and an ultra hands-on building experience, Format might not make the cut. THE BOTTOM LINE: Unlike most portfolio building options available, Wix actually allows users to build websites at no charge. However, for those who want to have a more comprehensive experience with the platform, Wix offers a variety of payment options designed to fit the needs of professionals of all shapes and sizes. Statistics and Analytics. Wix includes SEO campaign management software to optimize a portfolio’s Google ranking, as well as the tools needed to create personalized ad campaigns. In addition, the site’s backend reveals web stats detailing how visitors interact with content. Sharing made easy. This platform, in particular, makes it easy to share portfolio work through Facebook, Pinterest, Twitter, and beyond. Wix even comes with management tools designed to help track and manage social media activity. Hands-on Support. Wix offers users access to a detailed help center filled with articles on just about every technical subject out there. If the answers aren’t in their archives, all it takes is a ticket submission to get the help of a Wix associate. Wix is one of the few websites that allows users to create a portfolio at no cost. However, the site also offers five unique payment options that bypass some of the restrictions in place for free users. It can be a bit overwhelming to skim through Wix’s payment options. But, on the other hand, increased options grant users more flexibility to cater their payment to fit exactly what their needs happen to be. For those wary to pay for features they may not utilize, Wix is worth taking a look at. There’s plenty to love about Wix. It’s an affordable, established name that has a lot of options for its users to choose between. But there is one category in which Wix falls short compared to the competition – storage space. Increasingly so, cloud storage has become an important factor for photographers looking to share high definition images and videos. It comes as a disappointment to learn that even the priciest plans from Wix offer just 20GB of space. Many services offer unlimited cloud storage for no additional costs, putting the web development platform at a significant disadvantage. Customizable Interface. Weebly offers an array of templates to choose from. But, for profiles that stand out, Weebly also makes it possible to build easy to navigate personal galleries and custom-made backgrounds. Ready on the go. Weebly has a mobile app that’s capable of editing and managing a website. For bloggers and those who like to make up-to-date changes, it’s easy to check up and add content from the convenience of a mobile device. Statistics and Analytics. Stats are updated in real time to keep photographers informed on the effectiveness of their website. Weebly provides specific information on how many hits a portfolio garners and how viewers make their way to a specific site. Much like Wix, the differences between the site’s paid and unpaid versions are hard to overlook. Weebly users that opt into paying have access to infinitely more tools and resources, such as unlimited cloud storage. On a lot of levels, Weebly and Wix share similarities. However, one thing that Wix has over Weebly is the sheer number of payment plans that it has to offer. If a potential customer wants something other than the bare minimum or the best the site has to offer, it may be worth looking into the more nuanced plans at Wix that may cater more so to an individual’s specific needs. On the same note, Weebly fails to stand out with from the crowd on some levels. Pricing is moderate, and the tools and features live up to industry standards. However, among such stiff competition, it can easily blend into the fold. THE BOTTOM LINE: BlueMelon may be one of the most budget-friendly options of this bunch. However, users should be aware that the price paid will directly impact the amount of room they’ll have to work with. Convenient access. BlueMelon offers a desktop application and Lightroom publishing plugin to make accessing and adjusting profiles hassle-free. Theft Protection. Users may password protect albums and limit image/video display qualities to ward off thieves. There are also options that provide right-click download protection and apply watermarks. Customizable Interface. BlueMelon gives its customers the ability to design one of a kind themes without any coding knowledge (although there’s also a library of pre-made layouts available for use). Users can further customize their portfolio with custom CSS and HTML. Sharing made easy. The BlueMelon platform makes sharing across social media and blogs simple. Users may export images directly to Facebook or Flickr, and may easily integrate with WordPress via plugin. The site also allows for the creation and sharing of zip files as well as private client access. When broken up on a month to month scale, BlueMelon is the most affordable portfolio hosting option available, with the base plan costing just $2.50 per month. With the exception of storage space, all BlueMelon customers have access to the same set of tools and amenities. This includes a connection to a personal domain, SEO optimization, and access to email support. For minimalists that won’t need a lot of space to get by, BlueMelon is an attractive offer. However, there are a few factors and fees that potential buyers may want to take into consideration before purchasing a plan. Unfortunately, BlueMelon does have a few hidden fees for those who want to take advantage of everything it has to offer. To remove BlueMelon advertising from a portfolio, users must pay for an additional $30/year “debrand package”. Likewise, BlueMelon is not necessarily the best option for budding entrepreneurs. Any photographer looking to sell downloads or prints through their site will have to tack on a $40 annual business package in order to begin making sales. The startlingly low upfront subscription fees will always be enough to reel in new clientele. However, photographers looking to find a place to host their work long term should consider that the BlueMelon requires that users pay for some features that, more often than not, come for free with competing sites. THE BOTTOM LINE: A smaller European-based company, Fabrik may not have the name recognition some of our other contenders boast. However, the site does well on its promise to provide users with clean, professional looking portfolios that are easy to brag about. State of the art design. Fabrik is committed to creating sites that are beautiful as well as effective. A subscription grants users access to a variety of layouts designed to bring out the best in images. Hands-on Support. All Fabrik users (regardless of location) have access to the company’s customer service. Supportive experts will be able to act as guides and make it possible to accomplish just about anything. Catered to creatives. This site isn’t just made for creative individuals – the developers behind Fabrik are passionate creatives themselves. Though the platform is relatively small, it’s quickly garnering a community of talented individuals worldwide. Being based in the UK, the payment plans are expressed in British Pounds. However, customers outside of England need not worry. Fabrik accepts foreign currencies and encourages creative individuals worldwide across disciplines to join the platform and get their work recognized. Customers from the United States, the EU, and elsewhere should keep in mind that prices paid to Fabrik on a month-to-month or annual basis may fluctuate. Exchange rates may increase or decrease, directly impacting how much money will have to come out of your pocket to keep your portfolio live. Fabrik is one of the most impressive new faces among the sea of web portfolio hosting sites. Unfortunately, therein lies the site’s flaw – it still lacks experience and establishment. It hasn’t yet garnered the name recognition of big brands. As a result, the company itself is small and lacks the manpower that fuels the likes of Wix and SmugMug. On the bright side, there is still a lot of room for growth within Fabrik. Even if the platform isn’t the right choice for everyone at the moment, it’s certainly worth keeping an eye on. THE BOTTOM LINE: Viewbook ditches the payment plans that most other portfolio hosting sites offer. For a single flat fee, every customer receives all that the service has to offer. No limits. Unlimited cloud storage space and bandwidth is included with the Viewbook subscription fee. Customizable Interface. Viewbook has a very straightforward site editor that allows users without a technical background to tweak some finer details, such as the spacing between photographs. Made for photographers. Unlike many other website builders, Viewbook is designed specifically with photographers in mind. To accommodate artists of all sorts, Viewbook offers a number of different gallery styles, guaranteeing that photo series are displayed exactly as intended. Unlike most other portfolio hosting sites, Viewbook doesn’t have a variety of price plans for customers to choose between. Instead, every customer pays a single flat fee of $16/month. Though it costs a bit more than many of the basic plans available, it’s one of the least restrictive portfolio services around. Considering the fact that a subscription to Viewbook includes unlimited cloud storage, unlimited bandwidth, and unlimited access to customer support, it’s well worth the price. Users can even enjoy an unlimited free trial to the service – payment is only necessary when the portfolio is ready to go live. Unfortunately, some have complained that Viewbook is comparatively hard to use when stacked against competitors. Considering the growing popularity of fool-proof user interfaces that allow for adjustments and additions by simply dragging and dropping, any room for back-end confusion can be a detriment. It’s true that the site does make it possible to make small design tweaks through the site editor. However, DIY-ers will likely be met with disappointment, as there is very limited room for customization. THE BOTTOM LINE: Made specifically with artists in mind, Carbonmade is worth the consideration of any artist looking to grab the attention of potential employers thanks to the site’s recruiter search bar. Talent pool. Carbonmade makes it possible to sift through the portfolios of thousands of creatives. All Carbonmade users can be found in the site’s talent search features, which are accessible to potential clients from around the world. Archive your work. Cloud storage is unlimited to all Carbonmade subscribers. The platform will archive all content automatically whenever updates are made to a portfolio. State of the art design. Carbonmade makes it easy to personalize portfolios to any taste. Despite the busy design of the home page, it’s entirely possible to create a minimalistic, slick-looking site. Though the prospect of creating an online portfolio for free is tempting, paid subscriptions offer further personalization, archiving services, and priority support from the Carbonmade help center. Most importantly, paying customers aren’t forced to limit their content. Free members, on the other hand, are only allowed to display 35 images in total. Making a decision on which Carbonmade plan is right for you can be a tricky decision. The site itself is a bit difficult to navigate, and the plan descriptions utilize confusing terminology that can be difficult to understand at times. One thing that potential Carbonmade users should understand is that the site does not offer raw cloud storage space the way most services do. Instead, Carbonmade customers are given a certain number of images that can be hosted on their website with the exception of the Laser Whale plan, which allows users to upload unlimited content. Those that opt into the “Whoo” or “Okay” plans will only be able to showcase 500 or 100 images at any given time, respectively. For those who want to showcase large bodies of work on a tight budget, these constraints are less than ideal. You really need to update your list with new ones. Why, what’s wrong with BlueMelon? Hi, we reviewed Shopify for photographers earlier. You could get inspired by some of Shopify photography sites case studies.